Years of preparation went into the development and understanding of my career before I was able to embark on a solo road trip across America. Gaining the ability and skills required to document a journey of this magnitude took great patience and humility. Looking back at those steps now, I can clearly see that there was a plan in place that I am proud to share. My first paid job in the media was a photo shoot for, "Hype Hair" magazine. I was a senior in high school and a barber at the time and a west coast rap group named, “The College Boyz” came to the Bronx to promote their single, “Victim of the Ghetto” I was paid to give the leader of the group, Rom (Romani Malco , of "40 Year Old Virgin", "Blades of Glory", "Gulliver's Travels", "Think Like A Man", "Last Vegas" and "Think Like a Man Too") a haircut for a story about what happens in the barbershop. In the fall of 1992 I began my undergraduate journey at Hofstra University and my plan was to declare psychology as my major. I made some bad choices at Hofstra and soon transferred to Lehman College. At Lehman College I began studying theater, acting and directing. My first role in college theater was a small role in the Lehman College production of, “Camino Real", written by Tennessee Williams. Next I was cast as one of the orderlies in, “One Flew Over the Cuckoo’s Nest”, written by Ken Kesey. From there I landed the role of, "Action" in, “West Side Story”, written by Arthur Laurents. That led to a leading role as, "George Berger" in the Lehman College production of, “Hair”, written by Gerome Ragni, James Rado, and Galt MacDermot. At that time in my life I lacked discipline and partying took precedence over behaving responsibly. After, "Hair" I landed the role of "Orin Scrivello, D.D.S." in, “Little Shop of Horrors”, by Howard Ashman, but I was fired shortly before the production due to my lack of focus and “partying” attitude. I definitely felt the blow that my poor choices had caused but I still lacked the ability to stop my destructive behavior. I took this blow and veered slightly onto a different course. I continued to study theater but took a directing class where I began learning how to direct for the theater. I had two small appearances on, “New York Undercover”, a character role in a music video for KRS One’s group, ”Death Camp” in their “Sleep All Day” music video and some other productions. I was still working at the barbershop while I attended Lehman College when I heard about a paid internship at a public access station located on the Lehman College Campus, I took the position and worked for the first Bronx cable news show, “News 67.” I came to grips with the fact that acting wasn’t for me. I didn’t like the vanity of acting so I explored other opportunities behind the camera. Shortly after I learned that Hunter College had a film program. At the time, Lehman didn’t offer a film degree, so I transferred to Hunter College to learn filmmaking. My new position at the public access station instantly certified me to become an access producer at the station. I began my own variety show entitled, “Elbow Grease" and started my own production company with the same name. I wanted the show and the company to be a means to promote and inspire Puerto Rican culture and Puerto Ricans. I produced three shows. My first episode was a road trip documentary across Puerto Rico. I still lacked the proper editing, writing and organizational skills to complete the shows on time and eventually I discontinued "Elbow Grease", but this was the beginning of the road trip, self reflexive style of documentary that I would continue to use in my filmmaking. During this time, one of my friends was attending the New York Film Academy. For my second episode of “Elbow Grease” I interviewed him for my access show. I went to his school and documented his work at the New York Film Academy. For his final project, he wrote a full length feature film entitled “Spanish Harlem” and asked me if I would be the director of photography. I told him that I had no experience with film or cinematography, but he said he would teach me how to use the film camera. This was my first paid position in film and I was credited as Director of Photography. The filmmaker paid my barbershop rent while I was working on his project. It was a great learning experience for me, but I still cringe when I look at the footage. I didn’t know what I was doing and you could tell by viewing the finished product. In spite of that it was a great opportunity to get some film experience and put a feature film on my resume. At Hunter I began studying English Writing, Puerto Rican studies, Theater and Film. I was taking a Puerto Rican studies class and I was failing miserably. When it came time to begin the final project for the class I was looking at a “D” in the class at best. I didn't want to fail so I asked the professor if I could produce a short documentary instead of the final paper. The professor, Dr. Nemir Matos Cintron, who was also a television producer, agreed to give me an incomplete for the class until I finished the documentary. I produced a short documentary and titled it “Elbow Grease.” Professor Cintron showed me how to organize the documentary and write a documentary script correctly. When I completed the documentary I turned it in and professor Cintron said that it was so good that she wanted to include it into the Center for Puerto Rican Studies reserve at the Hunter College library. I agreed and not only did I get an "A-" in the class, but my documentary was now on reserve at a library in midtown Manhattan at a well-known College. If you’ve never heard of Hunter College it’s the same school where Ed Burns and Vin Diesel studied film and acting, during the same period of time. On November 19, 1997, I quit the barbershop and I took a position at the public access station as a sports videographer for the “News 67” newscast. At the same time that I finished the documentary I began going to church. On May 25, 1998 I became a Christian and I knew that I wanted to make Christian films. The only problem was that Christian films were poorly done and I needed to figure out how to make films of this nature and still tell good stories. About a year later the station decided to cancel the newscast and everyone had to find other jobs. At that time news photographers at the major news networks in New York City went on strike and scab positions became available at all the stations. Most of the news crew at my station left, but I prayed and decided to stay at the station. My faith was instantly rewarded and I was offered a part time position as part-time staff online editor. This was a coveted position that gave me access to a half a million dollar editing facility and the training to use its tools. This was an opportunity to learn skills that I would not have been able to learn as a news photographer at a major news network. This was a one man band position which meant that I had to learn everything and use everything to complete my assignments. It was through this position that I learned Adobe Photoshop, Adobe Illustrator, Adobe After Effects, Final Cut Pro, general motion graphics, editing, and technical directing. This position opened the door to the rest of my professional training and development. Over the next seven years, I was promoted to full time editor, senior editor, post production manager and finally interim director of creative services. I was now equipped to fulfill my calling. 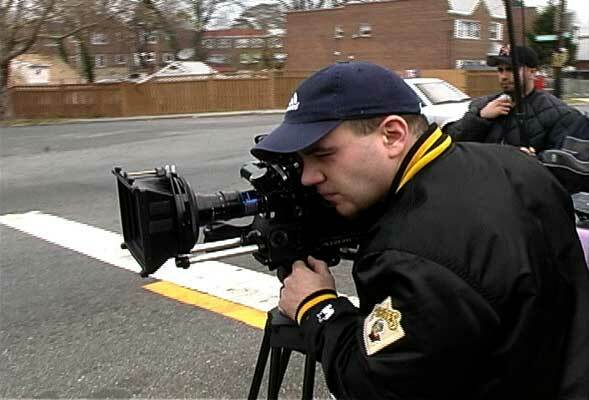 I worked at the station and continued to work on my degree in Film and Video Production. At Hunter, one of my cinematography class assignments was to shoot a short film. I wrote, "All You Can Eat" and I shot it for about $800.00 in film. Later in another film production class I wrote, "The Map." I decided to edit, “All You Can Eat” first and I used that student film to launch my own film production company, “Five Smooth Stones.” I started out with four partners but the group didn’t work out, so I disbanded the team. After working at the public access station for seven years I realized that I was surrounded by people who didn’t have the same passion I had for filmmaking and sharing the gospel, so I decided to break away from it all and go on a cross country, solo road trip in an attempt to create my first feature length film/video. On November 4, 2004 I set out to create a Christian film that was unique and told a story that could change the lives of its viewers and not just entertain. 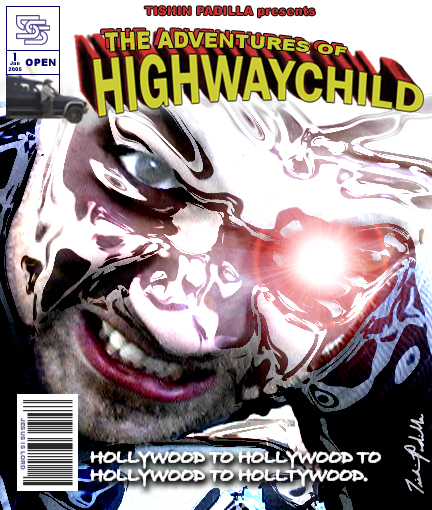 I have been shooting and producing, “The Adventures of Highwaychild”, for about nine years. Due to the nature of the project I have decided to take freelance positions at news stations and sports stations. I have continued to offer my services to individuals and companies who are looking for video and web production services. It has been a humbling and difficult choice but I accepted the fact that sticking to your dreams means making sacrifices. My main goal is to complete, “The Adventures of Highwaychild” documentary. 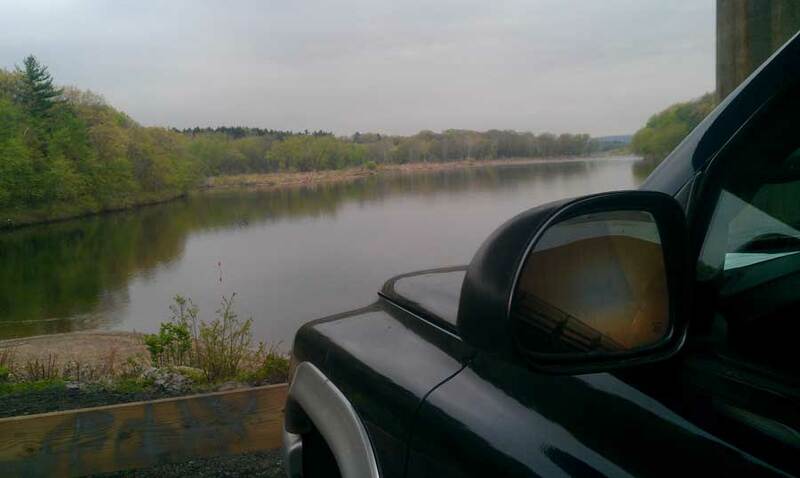 Until then, I will stay on the highway and finish what I began no matter what the cost. I have made many detours in my career. I have failed at certain points, but I have always continued to pursue my dream and learn from my mistakes. I have won seven Telly Awards, five Communicator Awards, one ACM Regional Award, three film festivals and I have received five Emmy Nominations. My first documentary, “Elbow Grease”, is on reserve at a library and my student film, “All You Can Eat” was distributed through Clarendon Entertainment. My journey has been unique, full of ups and downs and full of adventures. My faith and my career have taken me all over the country and have introduced me to celebrities, politicians and other great people. I believe that my career journey has made me a strong Christian and media professional. These are some of, “The Adventures of Highwaychild”!